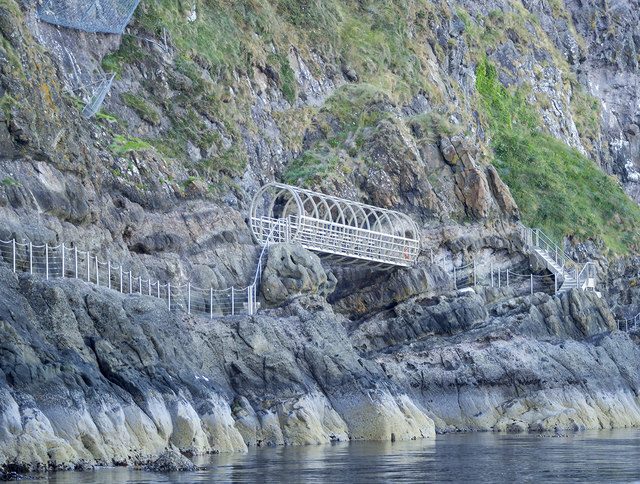 Part of the new cliff path at The Gobbins, Islandmagee. See Link for information and how to book. This was taken from the sea which, in my opinion, gives a far better appreciation of the cliffs, birds and seascape in the area; to book a trip by boat from Bangor see Link .